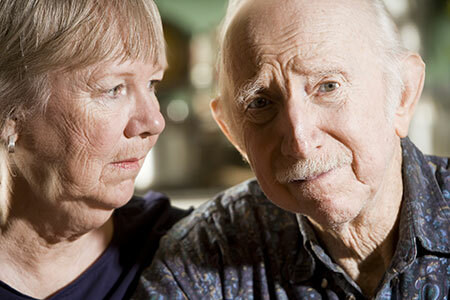 More than 45 million people worldwide suffer from Alzheimer's disease (AD) or dementia. The costs are staggering, and no cure exists. Development of new therapies has been challenging, with many promising new drugs failing in late stage clinical trials. Interest in new therapeutic pathways was piqued in 2016, when Baruch et al. reported that PD-1 checkpoint inhibition induced an immune response leading to amyloid-β plaque clearance and memory improvements in a mouse model of AD1. Immune checkpoint inhibition is a strategy that has led to multiple blockbuster cancer immunotherapies, including Keytruda® (pembrolizumab) and Opdivo® (nivolumab), and the preclinical research community received these initial findings with excitement. In a new article in the journal Glia, "Systemic immune-checkpoint blockade with anti-PD1 antibodies does not alter cerebral amyloid-β burden in several amyloid transgenic mouse models," researchers from three pharmaceutical companies report negative results from PD-1 immunotherapy in Alzheimer's disease mouse models2. Latta-Mahieu et al. reported that PD-1 blockade induced a systemic immune response in the ThyAPP/PS1M146L mice but did not reduce amyloid plaque burden in any of the three transgenic AD models2. Thus three different industrial groups were unable to replicate the effects reported by Baruch et al1. The authors noted that Baruch et al. used different GEM strains, with different genetic backgrounds (5xFAD6 and APP/PS1Δe97) compared to the ones used in the current study, and that background inflammation related to gut microbiota could be another key difference. Overall, their conclusion was that "there is no reproducible, preclinical evidence that supports inhibition of PD1 checkpoint signaling as a treatment for Alzheimer's disease2". Cancer Drug Suggests Promising Alzheimer's Treatment, by Paul Volden, PhD, who presents our coverage from when the original Baruch et al. paper was published. 1. Baruch, K.; Deczkowska, A.; Rosenzweig, N.; Tsitsou-Kampeli, A.; Sharif, A. M.; Matcovitch-Natan, O.; Kertser, A.; David, E.; Amit, I.; Schwartz, M. Nature Medicine 2016, 22 (2), 135-137. 2. Latta-Mahieu, M.; Elmer, B.; Bretteville, A.; Wang, Y.; Lopez-Grancha, M.; Goniot, P.; Moindrot, N.; Ferrari, P.; Blanc, V.; Schussler, N.; Brault, E.; Roudières, V.; Blanchard, V.; Yang, Z.-Y. ; Barneoud, P.; Bertrand, P.; Roucourt, B.; Carmans, S.; Bottelbergs, A.; Mertens, L.; Wintmolders, C.; Larsen, P.; Hersley, C.; Mcgathey, T.; Racke, M. M.; Liu, L.; Lu, J.; Oneill, M. J.; Riddell, D. R.; Ebneth, A.; Nabel, G. J.; Pradier, L. Glia 2017, 66 (3), 492-504. 3. Blanchard, V.; Moussaoui, S.; Czech, C.; Touchet, N.; Bonici, B.; Planche, M.; Canton, T.; Jedidi, I.; Gohin, M.; Wirths, O.; Bayer, T. A.; Langui, D.; Duyckaerts, C.; Tremp, G.; Pradier, L. Experimental Neurology 2003, 184 (1), 247-263. 4. Dewachter, I.; Dorpe, J. V.; Smeijers, L.; Gilis, M.; Kuipéri, C.; Laenen, I.; Caluwaerts, N.; Moechars, D.; Checler, F.; Vanderstichele, H.; Leuven, F. V. The Journal of Neuroscience 2000, 20 (17), 6452-6458. 5. Johnson-Wood, K.; Lee, M.; Motter, R.; Hu, K.; Gordon, G.; Barbour, R.; Khan, K.; Gordon, M.; Tan, H.; Games, D.; Lieberburg, I.; Schenk, D.; Seubert, P.; Mcconlogue, L. Proceedings of the National Academy of Sciences 1997, 94 (4), 1550-1555. 6. Oakley, H.; Cole, S. L.; Logan, S.; Maus, E.; Shao, P.; Craft, J.; Guillozet-Bongaarts, A.; Ohno, M.; Disterhoft, J.; Eldik, L. V.; Berry, R.; Vassar, R. Journal of Neuroscience 2006, 26 (40), 10129-10140. 7. Jankowsky, J. L.; Fadale, D. J.; Anderson, J.; Xu, G. M.; Gonzales, V.; Jenkins, N. A.; Copeland, N. G.; Lee, M. K.; Younkin, L. H.; Wagner, S. L.; Younkin, S. G.; Borchelt, D. R. Human Molecular Genetics 2004, 13 (2), 159-170.